Jessie Kindig is an M.A. student of American history at the University of Washington in Seattle, focusing on twentieth-century American radicalism and social movements. She received a B.A. with departmental honors in American Studies from Barnard College at Columbia University in 2004. 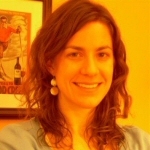 In addition to her academic studies, Jessie has worked as a research historian for Howard Zinn and Anthony Arnove’s Voices of a People’s History of the United States (Seven Stories, 2004) and “Rebel Voices,” the book’s theatrical adaptation by The Culture Project in New York City; Arnove’s Iraq: The Logic of Withdrawal (The New Press, 2006); and Ahmed Shawki’s Black Liberation and Socialism (Haymarket, 2006), among other titles.